I was strolling through the “Rocks, Fossils & Minerals” category on ebay and came across three “Pet Rock Buddies”. They are $2.89 each (shipping included). Hurry, these auctions end February 05 at about 10:30 a.m. CST. 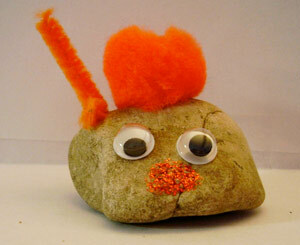 You could always revisit the seller’s ebay page at a later date to see if more pet rock buddies become available. I just read your other posting on how rocks look impressive with a white circle and a number on it as if you inventoried the rock. I say if you make your own rock and you could for less than 2.49, that you also paint a number on the rock.